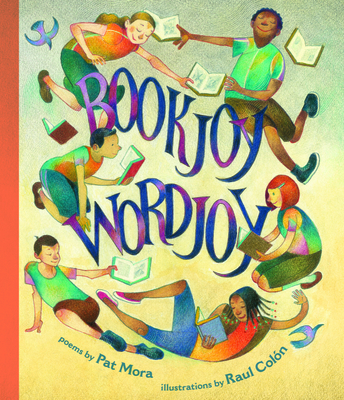 Whether we are collecting words, reading favorite books in the library, celebrating holidays, writing poems, sharing secrets, or singing a jazzy duet, words and books can take us on wonderful adventures and bring us joy. Poet Pat Mora has brought together a collection of her poems that celebrates engaging with words and books in all these ways and more. Vivid illustrations by Ra l Col n bring the poems to life and interpret the magic of the language with captivating images in a style influenced by Mexican muralists. Together the poems and illustrations are sure to inspire creative wordplay in readers of all ages.